It may seem a simple word, but Danny Mathews sees it as a door to a more open campus. 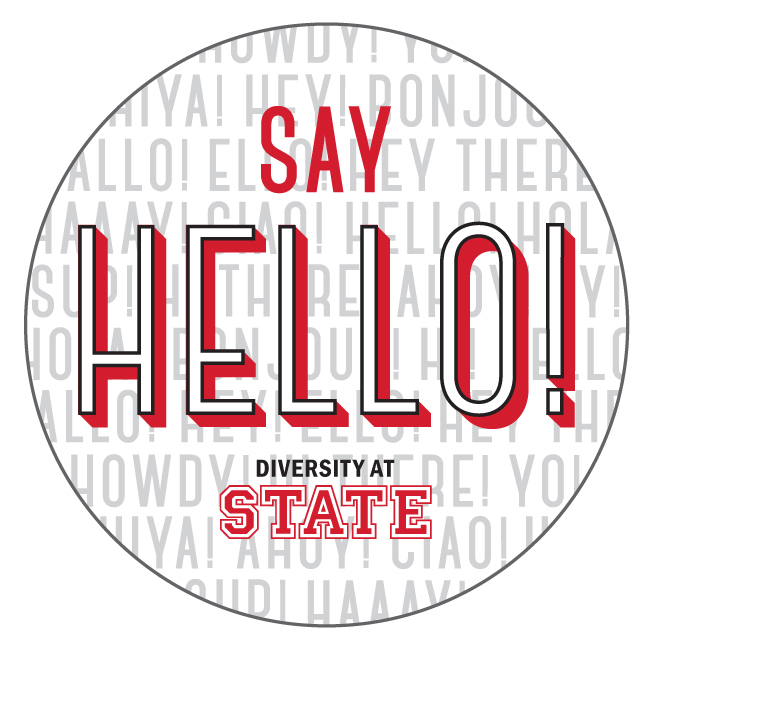 “We want to challenge students, faculty, and staff to think about how they move through campus, and how we interface with each other,” said Mathews of Diversity Advocacy, which is promoting the new SAY HELLO! Campaign on campus. The idea behind the campaign is as simple as saying the word hello. The campus community is encouraged to break down barriers by starting conversations with people whom they might not usually engage. SAY HELLO! buttons, posters, and fliers remind students, faculty, and staff to push their comfort boundaries. 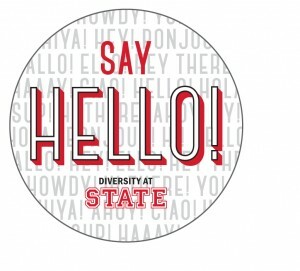 “We believe that the simple act of saying hello can open the door to helping all of our students, faculty, and staff feel they matter here at Illinois State,” said Mathews. The campaign will be making its way around campus this year, and Mathews hopes it will initiate even the most basic conversations. “The first step in connecting with a person different from you is to see that person and interact with that person. It could all start with a hello,” he said.